General home safety among family members, especially with the elderly has always been a priority. Keeping our elderly at home, sound and safe will always give us peace of mind. 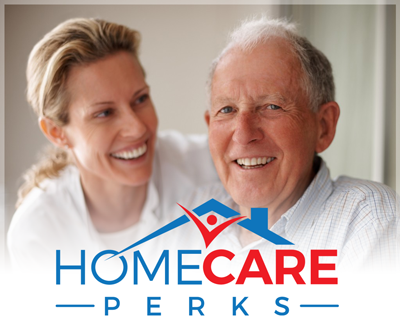 We, at Home Care Perks, understand how important for each family member living with a senior to live safely in the comfort of their own homes, regardless of physical and cognitive limitations. To be able to keep you at peace and confident, we have gathered several guidelines and tips on general home safety, including specific safety recommendations for bathroom safety, kitchen safety, electrical safety, and drug safety. Keep fire extinguisher and smoke detector on every floor. Always get up slowly after sitting or lying down. Take your time, and make sure you have your balance. Use a correctly measured walking aid. Have sturdy rails for all stairs inside and outside the house, or if necessary, purchase a stairlift. Use only non-glare 100 watt or greater incandescent bulbs (or the fluorescent equivalents). Staircase steps should have a non-slip surface. Leave a light on in your bathroom at right. Use a kettle with an automatic shut off. Make sure food is rotated regularly. Check expiration dates. Cover electrical outlets to prevent children from inserting objects. Check electrical cords for wear. Do not use cords that are frayed or have exposed wires. Be sure to check the junction between the cord and the plug. Ground all three-pronged plug adapters. Check heating pads for cracks prior to use. Do not use if present. Place the number of your Electric Company on or at every telephone. Call if there is a power outage. Review your medicines frequently with your doctor or pharmacist and when you take new medication. Read medicine labels in good light to ensure you have the right medicine and always take the correct dose. Never borrow prescription drugs from others. Check with your doctor or pharmacist before you mix alcohol and your drugs. Have medication dispensed in a bubble pack or convenient dispenser. Check with your doctor or pharmacist before mixing non-prescription drugs and prescription drugs. Store all medications out of reach of children. Secure all caps on medication bottles. Store syringes behind a closed door and do not talk about the fact that you have syringes in your home.